A US federal judge ruled that evidence provided by chip supplier Qualcomm that major phone makers like Apple have moved to competing suppliers like Intel cannot be used to fight allegations Qualcomm acted to preserve a monopoly on some mobile phone chips. 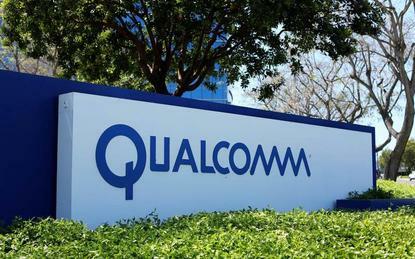 The Federal Trade Commission's lawsuit in the US District Court for the Northern District of California alleges that Qualcomm's patent licensing and chip sale practices were anti-competitive and sought to preserve a monopoly on so-called premium LTE modem chips, which help mobile phones connect to wireless data network. At the hearing in San Jose, California, an attorney for the FTC said there are "still discussions going on" with Qualcomm about settling the case, but a Qualcomm attorney said there was "no news" about the status of the talks. The two sides disclosed they were in talks in October. Since March, Qualcomm has disclosed that Apple completely stopped using its modems in its newest iPhones and switched to chips from Intel. Qualcomm has also broadened its use of a lower-cost licensing model for technology for the next generation of mobile data networks, with several phone makers already signing the deals. If the FTC wins its case against Qualcomm, regulators could impose fines and force the company to change some of its business practices around patent licensing, which drive more of the chip supplier's profits than chip sales. However, Qualcomm has appealed many of the decisions and settled some of them, for example by agreeing with Taiwanese regulators to invest US$700 million in that country's technology sector.